As the market of cryptocurrency is booming, one needs to know how to store the cryptocurrencies properly. In this article, we will go through how you can store Bitcoin using Android, and show which the best bitcoin wallets for Android are. 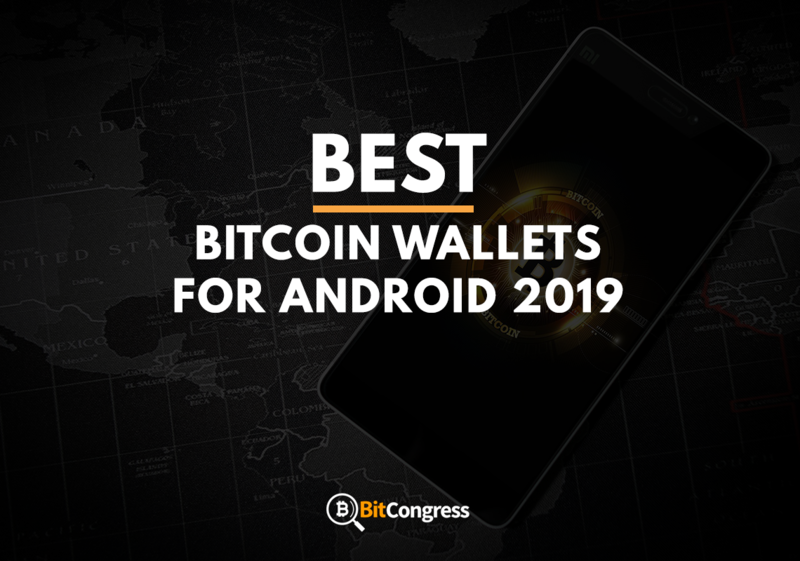 We are very well informed on how confusing it can be in choosing the best Android bitcoin wallet, therefore, we have done the extensive research on different wallets for Android, to assist you in choosing the right wallet. What type of wallets suits you? What type of wallet is the most secure? On a small note, a Bitcoin wallet is an online software that stores digital currencies being earned in the dedicated user’s account. Without such a wallet, it is not possible to receive bitcoins so it is necessary to create, purchase or download a bitcoin wallet. The process is similar to an email account. To receive bitcoins, you need to have a personal address just like an email address, where any user can see it and send bitcoins to it i.e Bitcoin address. Storing it in websites that would encrypt and store the information/ private and public keys for the desired users. Anywhere in which these two pieces of information is being stored at will be known as a bitcoin wallet. If the user is able to memorize the bitcoin address and the private key, the mind is a bitcoin wallet. Literally speaking. There are programs online designed to store the bitcoin address and the private key together. Any authenticated transaction that supports a valid signature is accepted by the Bitcoin network. Simultaneously, any person that holds a private key can enable a valid transaction to take place. Combining these two facts together simply means that another third party user; who obtains a private key of a particular user can steal any information from him/her. Many paths are being open to digital thieves who purloin private keys. Two of the most popular paths which are taken are storage media and communications channels. For this very reason, extreme forethought must be ensured whenever private keys are being dispatched or cached. “Wallet file” contains private keys in which it is stored by software wallets on the main hard drive. These type of files are often stored in a customary and well-known archive, making it a perfect target for bitcoin-related malware. To tackle such a threat, software wallets provide a suitable option to cipher the wallet file. Therefore, an attacker who gains access to the wallet file will need to decrypt it. Depending on the level of difficulty regarding the strength of the passwords used or the encryption techniques followed, hackers will find it time-consuming and difficult to crack the codes. Wallet files can be ciphered on many software wallets by simply adding a strong password which is complex in structure. “If you reveal your keys, you will lose your bitcoins.” Comparing the concept of a mailbox, where the people would receive their mail from; it has a distinctive and definite number (an address). If a certain mail was to be delivered at a particular house, it is mandatory that either he/she provides sufficient and clear details regarding the home or flat address with the PIN code and other related information. And as the person would want to attain the mail, it is essential to have and use a private key wherein no one has access to except the owner of the key himself/herself. It is sensible to always take care of the key and not to ruin the contents of the postbox. Similar to this case, as a person is able to view the public address of the home, any user who trades in the Bitcoin exchange will be able to view the public address in order to send/sell bitcoins. Moreover, to unlock the bitcoins, the designated user would need to use the private key of which full responsibility must be taken, similar to the keys of the mailbox. Being educated about this issue is important in order to avoid fraudulent issues. Customer support in answering queries which are quick to respond will enable the users to feel acquainted and satisfied with the services provided when using the wallets as people are dealing with their investment. Without the lack of quality expertise, the platform will have a bad reputation and brand name thus can damage the brand identity as well. It is essential to provide intelligent and quick-to-respond staff wherein he/she responds logically and quickly in order to appeal to the existing users and attract new users. Having a suitable UI/UX experience will provide an appealing sight to the users, therefore, will once again, attract them to return and use the services. Having to use an easy flow of searching through the site/app attracts the user. Use of simplistic techniques and light color schemes with one touch, users can easily use their wallets and also for other purposes without any sort of hindrances. Wallets used must have compatible operating systems in order to process and manage the day to day transactions. 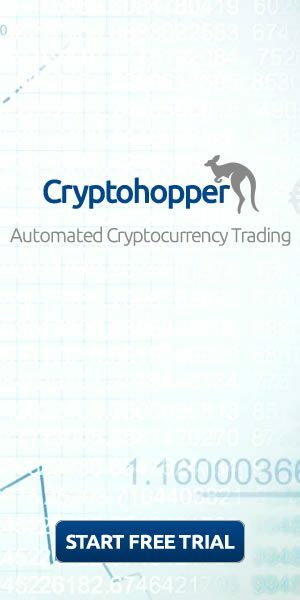 Without an efficient and an effective operating system, users would find it difficult to manage in trading as there can be instances where sometimes ‘lag’ or a certain glitch can occur. Knowing the fact that there are many methods to buy bitcoin, there are also many methods to store them as well. Software wallets: These are wallet programs/applications being downloaded to the computer, tablet or phone.For those being engaged in Bitcoin trading daily, purchasing goods in certain shops or peer-to-peer dealings, a software wallet is definitely the option.It is an application in which there are features to store the private keys and give you the access to pay/trade online directly from the device. Moreover, there are innovative apps where it enables users to use their phones near field communication feature in which it means they can place their phone near the reader’s phone without providing any confidential data at all.It takes advantage of the steady and constant incline of the Blockchain Ledger which any BTC client needs access to thus it is an essential need to obtain gigabytes of data storage. Therefore, these wallets take advantage of SPV technology – simplified payment verification technology. This smart technology only deals with small subsections of the Blockchain where it relies on trusted nodes in the network in order to obtain the accurate information. However advantageous it may seem like a ready-to-go easy solution, these wallets are prone to hacker and cyber attacks. In addition, it is highly likely a chance of losing the authority of the wallet if a third party enables access to the user’s mobile device. The online market provides a variety of apps running on both Android and iOS however it was known that Apple had banned these wallets from their app store during February 2014 but the decision was later canceled and brought back the apps after a few months. Such apps are Mycelium, Breadwallet, Airbitz, Greenbits, Bitcoin Wallet, Jaxx, and Copay. The most popular out of the other Android apps where it is easy to use, receive and perform payments. Moreover, it provides a user-friendly method for providing instructions on the setup and backup. 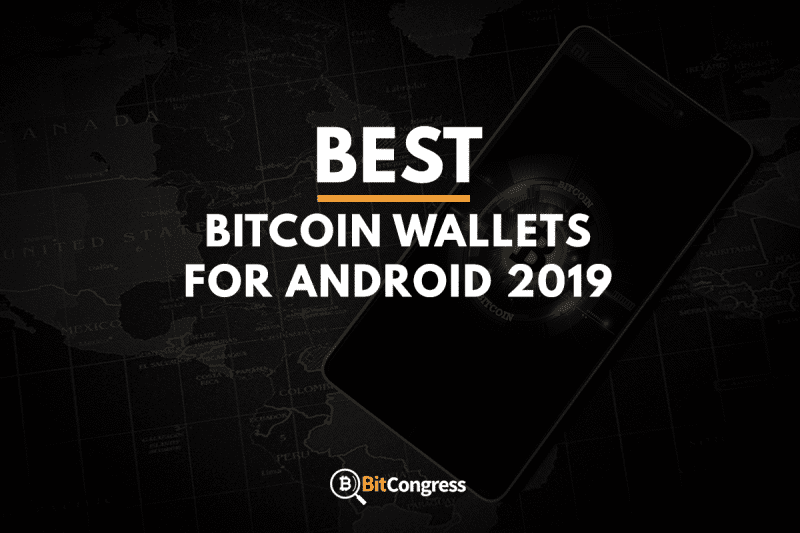 Awarded the eminent “Best Mobile App” award by Blockchain.info during 2014, benefiting with a bank-grade security; the wallet supports and provides the ability to send and receive bitcoins. HD: Hierarchical Deterministic wallets are those wallets which use a ‘master seed’ to generate all future bitcoin addresses in a sequential order and it is essential to back it up immediately. BIT ID: This open procedures and protocols allow secure authentication with verification. Maintaining a usual password process is ineffective due to its prone state where it is easy to break into the accounts. Single address accounts: Very traditional method type of account where it allows to secure and reserve/store large amounts of coins in which the private key is being deleted from the device, and later being imported back when necessary. Watch only accounts: These are accounts where addresses are stored in the wallet without the same unique private key, which enables wallet to monitor and control the outputs but not disburse them. Hardware: These accounts are created for the purpose of offline hardware devices. Hierarchical Deterministic: Where, as mentioned before, the wallets where it contains a ‘master seed’ and is created to produce infinite new Bitcoin addresses in a sequential and hierarchical order. Open Source: where the users are able to access the website and use Mycelium as an open-access platform. Not multi-signature: does not offer users to initiate groups and have multiple signatures therefore without a discussion, funds are released out. Having a multi-signature feature enables a form of trust and security between the members as well. 2-factor authentication: users are not provided the security towards the funds with this feature. Moreover, it enhances the overall safety of the wallet as it provides unique codes that only the user has access to when generated. Mycelium Wallet is for the more proficient bitcoin user – providing different coin control features compared to other wallets. The wallet is supported by a wide number of innovative projects and a development team that is constantly improving and creating ingenious works. The development team has created cold wallet prepaid card whereas the Android Mobile is the center platform that can represent a cold storage. Mycelium Gear: With Mycelium gear you are enabled to: Begin in obtaining Bitcoin payments free of charge using a sophisticated API. In addition, Gear does not keep the money but in fact, go to the users’ wallets. With the Joint Escrow feature, it would enable to ensure safety and security towards the user’s deals and any other user in the world, irrespective of the authority. Automate the payroll process and spend no more than 30 seconds per month sending payments, no matter the size of the organization. Mycelium Swish: the users can robotize/ automate the trading processes (ordering and purchasing) in different restaurants and bars. Mycelium Swish provides aid in saving money on different revenue costs such as staffing and also bring satisfaction to the customer. Mycelium Card: The Mycelium card is basically a container for the coins, but not really an access pass or key to an account. The card has a combination of both a user interface and POS terminal. Moreover, it is provided with a display and keypad. The cars are operated with a battery and enable complete automatic operations. The Mycelium card is connected to a computer via a Mycelium reader that enables charging a battery and accessing different transaction records with a large-sized interface. The user would be able to complete around hundred payment orders/transactions within a single charging cycle. Using a printer, insert the Mycelium Entropy that will enable the user to print different pictures using a flash drive. Choose the print option on the printer. Available on both Android and Apple; this wallet, in particular, is one of the easiest wallets to use when trading. Using a smooth running and congenital design, it makes the process quick and direct in terms of logging in, in creating an account and when performing transactions with bitcoin. In addition, the app was also specifically designed to ensure the protection of personal information and privacy. Breadwallet uses the combination of both convenience and security thus it is well-suited for users who have just started the bitcoin journey and also for technical users. In accordance, it also provides the user the control over the private keys, passcode assistance, and user-friendly interface. Bread is available for free. However, when users choose to make bitcoin transactions, they will need to pay a certain amount of fees to the bitcoin network. There were recent updates to the app which include the capability to regulate the certain amount of transaction fees based on primacy, providing users with the option to purchase more in order for faster transactions to take place. As a user purchases a Bitcoin via the bread app, he/she may incur a certain amount of fees which are either charged by the bank and/or a third-party service used to the account to the designated wallet. Some features used need the authority of third-party services. Numerous complaints have been heard due to the app freezing. Update for Android: After a follow up of the recent update to their iOS app, Bread has been scheduled to disseminate a new version new version for Android in the near future. 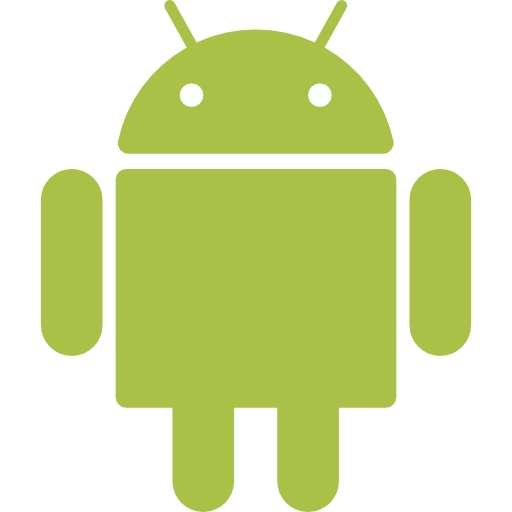 Users of Android are expected to look towards to some exciting new features which include the capability to improve transaction fees based on certain importance/priority, predilection settings on viewing the display for the balance, with the ability to include“Memos” to each and every transaction. Supporting other crypto assets: As Breadwallet only supports bitcoin currently, the company itself has declared that it will be providing support for other cryptocurrencies in the future. 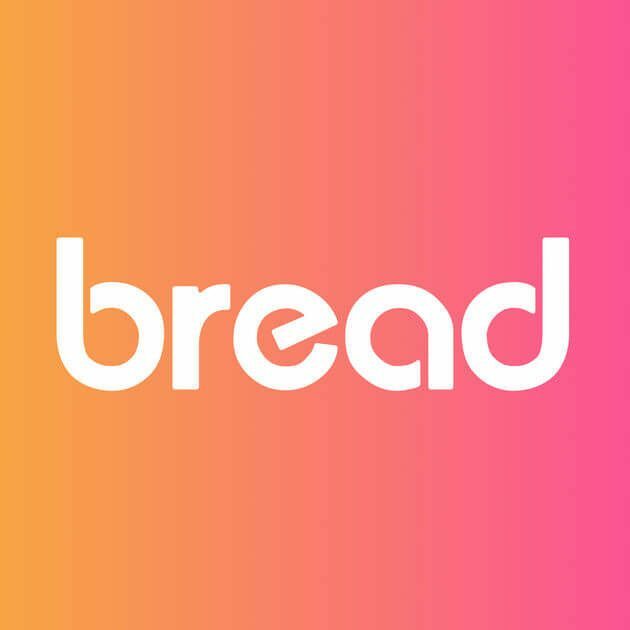 Further financial services: The Bread company has mentioned that it plans and seeks to further expand and offer additional services to its users, which is beyond the normal or traditional wallet functions of obtaining and sending out bitcoins. Available on both Android and Apple; provides a comfortable experience for the users to use bitcoin. Moreover, it provides an interesting feature to perform automatic backups. A wallet which enables the users to purchase, seel and safely store the bitcoins via mobile phone. Furthermore, beyond the HD and the two-factor authentication features, Airbitz ensures to safeguard funds of the users and different data transactions from third-party users. This signifies that no user can access the data within the Airbitz wallet. User experience was one of the core aims in mind. In terms of scanning QR codes, the wallet provides Bluetooth Low Energy (BLE) to transfer funds. To register for an account is simple and quick without risking the need to sacrifice important features regarding security. What makes Airbitz completely unique is the fact that it stands in the Business Directory, which supports a map of all bitcoin-accepting organizations near you. This raises Airbitz to a popular public level as one of the unique bitcoins around. Airbitz app is available online and can be downloaded using the smartphone for free. These transaction fees are determined by the bitcoin network which is also inspired by things like suppression and the size of the transaction in bytes of data. Decentralized servers in which the wallet works despite the servers being down. An easy to use the app for quick transactions, Airbitz is a free app to use where it is a good test subject before diving into actually trading bitcoins. The app is innovative and instinctive as it understands the users’ opinions. Users who are technically advanced in bitcoin will appreciate the active directory. So, as far as trading bitcoin then the feature alone makes a difference. An earlier version of Green Address where it is a multi-signature wallet that aids hardware wallets such as TREZOR and Ledger Nano S.
Pricing for the Greenbits wallet is 50 uBTC per KB but the overall information is not revealed it. One of the unique features of such an app is that it ensures security with the most established and trusted security app called the Ledger, therefore no user can completely depend on the wallet. Combining the features of fast, thin and ease of use, the creators of the app have released the source code for the client. The iOS and desktop versions are not released yet. Uses a combination of SPV verification and a security partner. For beginners, this app seems to be popular due to its easy user-friendly interface. Zebpay was the first wallet in India where its journey started in 2014. Also, it provides a fast, secure platform to trade bitcoins. Moreover, they ensure the best prices are being offered to the users when trading bitcoins. A user-friendly app which enables users to enjoy the benefits of quick transactions that are cashless. Unlike certain cash transactions, amount of bitcoins can be traded with any other user within seconds. Bitcoin price is relatively high compared to other bitcoin exchange sites. Using this platform, users can benefit from profit as the bitcoin price can be analyzed. Updates users on new notifications when there is a change in bitcoin prices. Even though the bitcoin and its network are decentralized, users will still need to adhere to the rules provided by the IT government. New users will have to risk in investing as there is always a chance of a drop rate in the bitcoin price. In order to use the wallet, it is essential for the user to use a PAN card and a bank account where both the PAN card and bank account number should match. Users are not allowed to store rupees in the account after three months if not a single transaction is being made. So, in order to avoid this, users must plan accordingly in order to avoid unnecessary transactions that are made automatic. Unlike other platforms, users will face a transaction limit on an annual day and monthly basis. Users can only invest in or purchase with a minimum of 1000 rupees per transaction and a maximum of 10000000 rupees per month. An android app where it is an open multisig source created by Bitpay. This is where the funds will only be released if a certain amount of people will allow a transaction to take place before it is carried out/executed which resembles a shared wallet. This is a great method for security but it will be a problem in some cases. Multiple platforms: Available for mobile (iOS, Android, Windows) as well as desktop (Mac, Linux, Windows). Multiple accounts: Allows users creations of different accounts under the same wallet where the users can use different accounts for different purposes i.e: business and personal. Open source: The wallet and the server code is publicized. This enables the third parties to monitor, inspect, review and find methods to improve the code, which will lead to a more secure and trustworthy wallet than the closed sourced wallets. Clean and easy user interface: Users can take advantage of the smooth UI and smart system where it shows 150 currencies and supports many languages. In terms of design, Copay appears the right choice. However, due to certain politics as Copay’s hapless foray into Bitcoin politics has lead to a great damage in trust concerning the wallet. Copay was removed from Bitcoin.org’s list of trusted wallets for supporting the BTC1 hard fork as “the real Bitcoin.” However, the BTC1 hard fork had soon failed for reasons in terms of political and technical. BitPay had mentioned to their users to switch over to a more rushed, unproven code that ultimately leads to failure. If only considerations were given to the features, Copay would make a great choice. However, there are alternatives wherein the similar features are being provided without the hand of dirty politics, moreover; until the case of missing funds/investments were not solved then it would be not advisable for the user to use Copay. These issues will be solved in the near future but until then, Copay is used for small amounts in order to avoid the risk. Peer-to-peer: If the user decides to make the payments in person, then it is suggested to use a mobile wallet and not an online wallet such as Mycelium, Copay or even Breadwallet. The regularity of payments: If the user eventually makes regular payments then a desktop wallet or a mobile wallet is suitable since it would be more suitable to use wallets that are quickly accessible and simple. Amounts invested/returned: Users dealing with large amounts of bitcoin would need to have a more secure wallet in order to avoid attacks online. Thus, it is recommended to use hardware wallets that are designed to store and secure or even use offline wallets which are secure as well such as Armory. Multi-use and accessibility: Using different wallets to give different advantages can enable safety and ease of use at the same time but users should be careful in deciding the wallets used and to be not confused as well. In such cases, hardware wallets are used for savings accounts whereas mobile wallets are used as checking accounts. There are multiple secure wallets being listed online. But in order to have the perfect wallet will depend on the fewer fees based on transactions (BTC to BTC transactions) and non-violated security. Hot Wallets: These are types of wallets based on the concept of a pocket wallet. Moreover, these wallets run on internet-connected devices like computer/tablet/phone where there is a higher risk of theft. Stating back to the concept of the pocket wallets, people do not put all their savings into their pockets and walk. Cold Storage Wallets: Comparing to a savings account, these type of wallets offer security where there is no risk of stealing thus it is safe. Cold storage can be achieved when Bitcoin keys – private are generated and stored offline from the network. Hackers would not be able to breach the private keys since all the keys are being stored offline. Controlling private keys: It is recommended to take caution of your own bitcoins. Managing full control of the funds and not being dependant on a third person or party will create a more secure approach. Safeguarding privacy: Every time you request for blockchain data from your wallet, the server may connect the IP address to the address requested thus this tell us on how each wallet requests data differently from each other. Using a wallet that can download the whole blockchain like the Bitcoin Core or Armory will enable privacy for the users. Avoid repeated/reusing addresses: As secure systems were updated, the address for each transaction will change automatically each time. Bitcoin transactions are publicly viewed thus it groups all the transactions in which different users can comprehend easily whether if the transactions are being connected to one identifiable user. Depending on the amounts, use different wallets: Different bitcoin wallets can be used depending on the different amounts being saved or transferred. As mentioned, using hardware wallets or paper wallets can be used to store as a ‘saving wallet’ digitally, whereas mobile, desktop wallets can be used as ‘spending wallets’. Ensure secure multiple backups: It is highly recommended that the users are needed to backup of their wallets and keep them in safe secure physical locations that would not damage the data. Example: Paper wallets can be laminated to prevent damage. 4 different kinds of wallets are simplified further down into different security types as well as storages. Hot wallets: These type of wallets run on online connected devices, therefore, the risk of cyber attacks or theft increases. These type of wallets are recommended for day-to-day small expenditures and the rest of the amounts will be locked away in a cold storage. Custodial services: Users’ private keys and digital cash are held by external parties, therefore, there is no control over their money. This may seem secure at first but storing cash in other person’s control can always add up the risk to do so. Cold Storage: Private keys are being secured offline thus reduces the risk and chances of hackers breaking through. These will seem to be effective for users who would not be spending it and secures bitcoins. Multisignature wallets: Adding the features of offline security and cold storage, multisig wallets have bitcoins that are shared equally between different parties. In order for funds to be released, the parties must agree and sign on the transactions before releasing it. There are examples such as a 2-2 wallet or 2-3 wallet where 2 members out of the three co-signers would need to sign before releasing the funds. This can also easily extend up to 5-9 signatures where 5 signatures out of the 9 signatures. Armory Multisig: Offering a unique feature: Lockbox feature, it requires any amount of people up till 7 co-signers to sign and permits funds to be released. Basically, using this feature, one particular party will assign co-partners with different public keys as co-signers. It provides a combination of security and pliancy for either for personal use or for different companies.Another feature of the Armory Multisig wallet is that it provides a backup where instead of attaining multiple signatures for a single affair, it would be used for only backups. Having a speck backup for the Armory wallet will decrease the chances of hacking issues on bitcoin wallets. In order for this to work, locations need to be discussed in order to achieve a full, total backup. Prone to malware. Software used may contain malware which in turn can scan the private keys and a few moments later, all the bitcoins vanish. Users are more vulnerable to lose their phones or laptops, therefore, lose all the wallets invested in them. ‘Trojan’ can be used to cipher files. After finding out the amount of money in the wallet, the corrupted program will command/demand the same amount of bitcoins in order to decipher the files. Virtual exchange can always lead to fraudulent issues where other users/hackers can perform stealing of bitcoins. It is preferable to use cold storage methods rather than to use internet-connected devices. Prepare for scams and always proofread twice or more to ensure that it comes from the right source. If authorized on a wrong source, all the bitcoins will be dissipated away. Overall, it is necessary to know which wallets to use depending on the amounts dealt with and the storage as well. It is more effective if the users use different types of wallets in order to take advantage for each but at the same time, it can be quite expensive and irrelevant in some cases. Users should be warned about certain companies who can try to scam and swindle the bitcoins away from the users using different malware software which makes it difficult to retrieve it back. It is recommended to create backups. Being kept in a safe place, cryptocurrency wallet may save the users from multiple hardware failures and a lot of human errors. Moreover, it will restore the wallet if a personal computer or phone gets stolen or damaged. Allowing ciphering of data will restrict the hackers from attaining the passwords and obtain the bitcoins. Although it may seem secure to restrict hackers, it cannot put a full stop to malware attacks from keyloggers, therefore it is necessary to install and update leading antivirus and anti-malware results. Consider analyzing different exchanges that are decentralized. The difference between a decentralized and centralized exchange is that it does not secure and store the funds. Nobody has the authority to claim or gain your funds except you.